Posted April 23rd, 2015 at 2:42 pm. Wall Street pioneer Isabel Hamilton Benham, class of 1931, has bequeathed a gift of $15 million to the school, announced President Kim Cassidy today. “Isabel Benham defied convention and broke barriers throughout her life, and, through her accomplishments and her philanthropy, she continues to be an inspiration to successive generations of students here at Bryn Mawr. Her transformational gift will support the College’s top priorities by providing permanent endowment funding for women in science as well as our faculty in international studies,” said Cassidy. An economics major at Bryn Mawr, Benham’s post-collegiate dream of working on Wall Street was unheard of in her time. 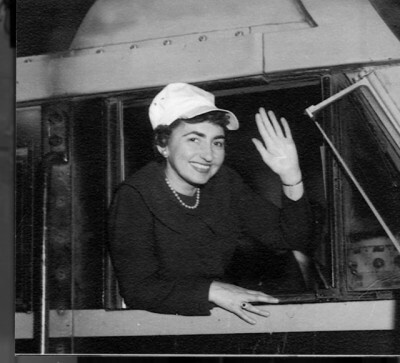 In fact, she was advised to enroll next in a “secretarial course.” She persisted nonetheless and her many remarkable accomplishments include being the first woman on Wall Street to study the railroad industry, the first female vice president and voting stockholder at Shearson Hammill (later Salomon Smith Barney), one of the first women to be named partner in a Wall Street bond house, the first woman to be on the Board of Directors of a railroad, and one of the first women to hold a seat on the New York Stock Exchange. Benham’s groundbreaking career in finance and railroads spanned more than six decades. She did not just study the industry on paper, she “rode the rails” and inspected the facilities for herself. Benham thrived through the busts, such as the widespread railroad bankruptcies of the 30s and 70s, and the booms, including the mergers and conglomerates of the 50s and 60s. She was the first rail analyst in the 70s to propose the business concept of “open access,” which came to characterize the railroad, telecommunications, pipelines, and utilities industries. Benham’s love for Bryn Mawr, and her generosity throughout her lifetime, literally changed the face of the Bryn Mawr campus. With her help, the College was able in the late 80s to restore the iconic clock in the steeple of Taylor Hall. She also funded the construction of the current admissions building, which is named in her honor, and helped pay for improvements and renovation to several other campus buildings. Beyond bricks and mortar, the Isabel Benham Fund for Faculty Research has provided critical early career support to faculty at the start of their Bryn Mawr lives for more than 20 years. Born in Buffalo, New York, Benham passed away in May 2013 at the age of 103.